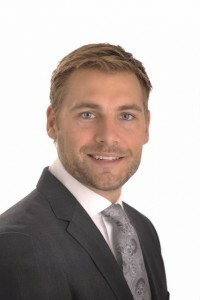 Graeme Parker has worked with his father Charlie Parker at RE/MAX Of Nanaimo since 2004. In this time he has completed thousands of market evaluations and has been inducted into the RE/MAX Hall of Fame and earned the RE/MAX Lifetime Achievement Award for sales success. Graeme’s clients have been quoted saying, “Graeme Parker acts with the utmost professionalism and he truly has (his clients) best interests at heart”. Graeme spent his first years at RE/MAX as a Buyer’s Specialist and really enjoyed the excitement that buyers felt when the right home was discovered. He now focuses on helping sellers get the most money possible for their homes, in the shortest period of time, with the least amount of inconvenience. It has been a challenge that Graeme has embraced. He constantly improves systems, updates marketing, and finds new and innovative ways to present properties to the market. Increasing client satisfaction and making sure that the seller is always informed and up to date on the progress of their sale has been a top priority. In a changing market that is always evolving due to technology and increasing competition, Graeme Parker prides himself on staying one step ahead of the curve. 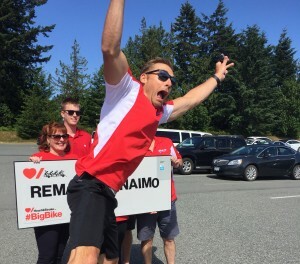 Graeme at the Heart and Stroke Foundations Big Bike Ride with a well-timed photo bomb.